Joey Logano survived the madness and the mayhem. Matt Kenseth did not. Logano took advantage of the typical NASCAR carnage in the closing laps to win in double-overtime in the Can-Am 500 at Phoenix International Raceway on Sunday afternoon on a day that wasn’t nearly as kind to Kenseth. Logano will join Kyle Busch along with Jimmie Johnson and Carl Edwards as the last men standing in a winner-take-all format at Homestead this coming Sunday. If none of the Chase finalists wins, then the driver with the highest finish will be anointed the 2016 Sprint Cup champion. 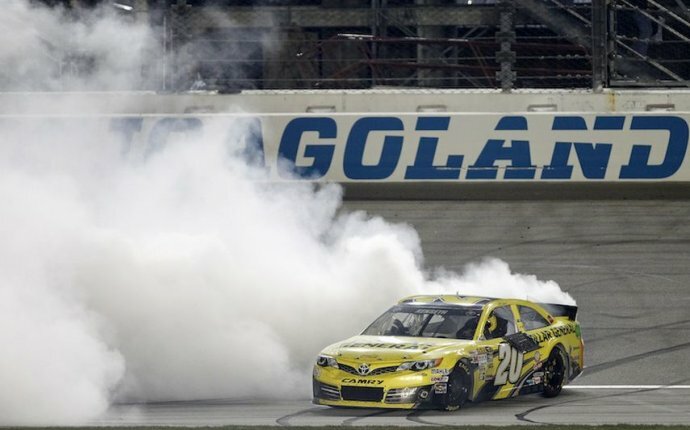 Kenseth was in the lead pack in the closing laps — and on his way to a Chase berth — when a series of unfortunate events prevailed. Kyle Busch turned Alex Bowman inside as they raced to the corner. They barely avoided contact, but Bowman’s shift and an indecisive moment by Kenseth’s spotter caused Kenseth to serve off course and wreck after he was nudged by Bowman. After he avoided the carnage on that first restart, Logano easily took the lead on the second attempt and outdistanced Busch for the victory. The takeaway themes for the Championship Four are quite clear. Busch will be defending his Cup title. Johnson will be shooting for his seventh Cup title, which would tie him for most ever alongside NASCAR legends Richard Petty and Dale Earnhardt. Edwards, a consistent contender, wants his first title. And it’s redemption road for Logano, whose dominant run was wiped out last season after a series of contentious payback incidents with Kenseth. Logano also will be trying to win his first title. Of course, the circumstances that led to Logano’s shot at the title involves Kenseth’s disappointment, and a mix of regret from all parties involved. “It’s ironic that the 20 would have been involved in that, ” said team owner Roger Penske, the boss man for Logano. The first late caution came out when Michael McDowell spun out. It set up the dramatic overtime circumstances of a two-lap sprint, but that didn’t last long when Bowman made contact with Kenseth as he dropped to the inside, causing Kenseth to wreck and crush his chances of advancing. That led to the second overtime, and the sprint to the finish, with Logano prevailing without any added drama ... unless you count the post-race scrum in which Logano lost his wedding ring. That would be his second one. He lost his original one while kayaking during his honeymoon in December 2013. Fortunately, he was able to find it this time around. “Yay, I’m married again, ” he said jokingly to his wife, Brittany. “Honey, we’re good! Bowman had the most dominant car of the day, leading 193 laps. Bowman, who won his first career pole with a speed of 140.521 mph in NASCAR’s penultimate race, began the race with 80 career starts without a victory.